‟Capernaumˮ (“Chaosˮ) (2018). Cast: Zain Al Rafeea, Yordanos Shiferaw, Boluwatife Treasure Bankole, Kawsar Al Haddad, Fadi Kamel Yousef, Haita ‟Cedra“ Izzam, Alaa Chouchnieh, Nadine Labaki, Elias Khoury, Nour El Hosseini, Joseph Jombazian, Farah Hasno, Joe Maalouf, Tamer Ibrahim. Director: Nadine Labaki. Screenplay: Nadine Labaki, Jihad Hojelly, Michelle Keserwany, Georges Khabbaz and Khalid Mouzana. Web site. Trailer. Survival can be a challenging proposition. The more difficult the circumstances, the harder it can be to get out from under. However, the more we can call upon our powers of creativity to come up with innovative solutions, the better our chances of succeeding – which can be critical when we have our very existence on the line. So it is for a young man up against trying conditions in the new, award-winning Lebanese drama, ‟Capernaumˮ (“Chaosˮ). Growing up as a poor child in Beirut is tough enough. But growing up as a poor child in Beirut to parents who are pathologically neglectful and have had more kids than they can possibly afford is a challenge just to stay alive, let alone to hold on to even the slightest shred of personal dignity. Such is the life that Zain (Zain Al Rafeea) faces every day. His parents, Souad (Kawsar Al Haddad) and Selim (Fadi Kamel Yousef), have birthed so many children that they don’t even know how old their son is (estimates are that he’s 12 to 13). In fact, there are times when it seems like they don’t even know how many kids they have. Lebanese street kid Zain (Zain Al Rafeea) struggles to survive against incredible odds in the heart-tugging new drama, ‟Capernaumˮ (“Chaosˮ). Photo by Christopher Aoun, courtesy of Sony Pictures Classics. Conditions like these force young ones to grow up fast. Zain, for instance, has developed a sharp streetwise sensibility at a tender age, much sooner than most other youngsters usually do. He’s learned how to protect himself, how to call things as he sees them, how to swear like a sailor and how not to take any guff from anyone. But, while it’s fortunate that he’s become savvy enough to deal with these circumstances, it’s a shame that he’s being left out of many of childhood’s joys. To make matters worse, when Beirut’s street kids are deemed old enough, they’re expected to go to work to help support the household, even if they have to forgo school. For Zain and his 11-year-old sister, Sahar (Haita “Cedra” Izzam), this means helping out a local store owner, Assaad (Nour El Hosseini), son of the family’s landlord (Tamer Ibrahim). Zain does odd jobs around the shop and delivers groceries to neighborhood residents. But, as for Sahar, Assaad has other plans in mind. He’s lecherously smitten with her, routinely plying her with little indulgences like ramen and licorice. Zain is incensed with Assaad’s leering ways. So it comes as no surprise that he loses it when he learns that his parents are looking to trade Sahar’s hand in marriage to Assaad in exchange for rent concessions from his landlord father, a questionable practice but one that’s not unknown in the community. In a fit of anger, Zain lashes out, incurring the ire of his parents in return. He now knows these circumstances are intolerable, so he leaves home without notice to chart a new path for himself. Beirut street kid Zain (Zain Al Rafeea, left) does his best to protect his younger sister, Sahar (Haita ‟Cedra“ Izzam, right), against their unscrupulous parents and a lecherous store owner in the award-winning new Lebanese drama, ‟Capernaumˮ (“Chaosˮ). Photo by Christopher Aoun, courtesy of Sony Pictures Classics. Zain initially plans to relocate to his grandmother’s home. But, while traveling there, he changes his mind when he comes upon an amusement park. The colorful, lively attractions captivate him, given that they’re so different from what’s he accustomed to. He decides to explore what it has to offer, abandoning his original plan. He lives by his wits and begins looking for work from the local vendors, but no one is willing to hire him. But all is not lost: Zain captures the attention of Rahil (Yordanos Shiferaw), an illegal alien from Ethiopia who works at the park under an alias using falsified immigration papers that are about to expire. Rahil has her hands full as the single mother of a toddler, Yonas (Boluwatife Treasure Bankole), so she’s limited in terms of how much help she can provide to Zain. However, given that she now has access to a potential babysitter, she can leave Yonas at home while she works, an option preferable to dragging him to her job and hiding him in a bathroom stall during her shift. And, in exchange for Zain’s services, Rahil provides him with food and a place to stay. It’s an arrangement that works relatively well, too – that is, until Rahil is picked up and incarcerated by authorities for immigration violations. To make matters worse, her arrest takes place without Zain’s knowledge. Suddenly the adolescent youngster is left to care for himself and a toddler all on his own. Rahil (Yordanos Shiferaw), a single mother and illegal alien from Ethiopia working in Lebanon, does what she can to make ends meet for a growing toddler in director Nadine Labaki’s ‟Capernaumˮ (“Chaosˮ). Photo by Fares Sokhon, courtesy of Sony Pictures Classics. To say more would reveal too much, but suffice it to say that Zain’s circumstances grow progressively more challenging, particularly when he’s forced into dealing with assorted shady characters, such as a crooked flea market vendor (Alaa Chouchnieh), to get by. His survival skills serve him well under these conditions, but eventually even they get pushed to the limit. A course of events is set in motion that require him to make hard choices and take drastic measures that have the potential to land him in trouble. 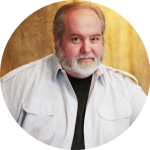 But, with courage and some inventive thinking, he’s determined to have his say – even if it means doing so in court against unlikely opponents. “Capernaum,ˮ which translates as “Chaos,ˮ couldn’t be a more fitting title for this film. The deplorable conditions depicted here are something no one should have to endure, especially someone as young as Zain. Between the irresponsibility of his parents, the street life of Beirut and the circumstances of being thrust into becoming a caretaker for a young child who isn’t even his own, Zain has his hands full coping with the chaos around him. Yet somehow he manages to survive, because he believes he can. This is an outcome made possible by the conscious creation process, the philosophy that maintains we manifest the reality we experience through the power of our thoughts, beliefs and intents. And the beliefs that Zain staunchly holds onto are precisely what he needs to stay afloat. As becomes apparent from the film’s outset, Zain is a survivor because he needs to believe that he is one in order to get by. He has an unshakable faith in his abilities to somehow find a way to contend with the challenges facing him. And, with each new obstacle, he must continually steel his resolve in those beliefs and that faith, especially since the stakes get upped every time. Runaway street kid Zain (Zain Al Rafeea, background) becomes an impromptu babysitter for Yonas (Boluwatife Treasure Bankole, foreground) when the toddler’s mother goes to work in ‟Capernaumˮ (“Chaosˮ). Photo by Christopher Aoun, courtesy of Sony Pictures Classics. Some might see the creation of such conditions as intolerable. However, as difficult and insufferable as they may seem to many of us, what better way is there to build up one’s fortitude, a crucial life lesson that we must all face at some point in our personal growth and development? It forces us to toughen our shells, as well as to think more creatively, outside the box and beyond conventional limitations. It requires us to build up our reserves of courage, to cast aside fears that might otherwise hold us back. And it’s essential considering the alternative. Zain does all of this during his remarkable journey, and he does so on multiple fronts. That routinely calls for him to gather his wits and summon up whatever wherewithal he can muster to address the many issues he encounters. We can all learn a lot from his example, both in terms of our coping skills and our inventiveness. He simply doesn’t have the luxury of throwing up his hands and quitting. We should follow his lead when we face crises of our own. To address past transgressions, runaway street kid Zain (Zain Al Rafeea, left), represented by his attorney (Nadine Labaki, right), takes on unlikely opponents in court in the award-winning new release, ‟Capernaumˮ (“Chaosˮ). Photo by Fares Sokhon, courtesy of Sony Pictures Classics. It’s a rare feat that a film is able to simultaneously warm and break your heart at the same time, but this intense, involving offering does just that. Director Nadine Labaki’s heart-tugging saga of children being left to fend for themselves by unfeeling parents and an unfeeling bureaucracy evokes genuine emotion through a story that’s presented with stark realism and not narrative manipulation. The performances of the two children are indeed impressive, making you feel as though you’re right alongside them in their harrowing odysseys. Because of that, you’ll want to keep the hankie handy for this one; you’ll need it for when the film touches your heart and for when it nearly rips it out of your chest. 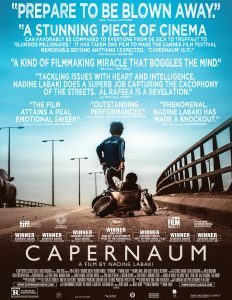 “Capernaum” has been widely recognized in awards competitions – and deservedly so.  The film captured three honors at the 2018 Cannes Film Festival, including the Jury Prize, the Ecumenical Jury Prize and the Prix de la citoyenneté (Social Responsibility Award), along with a Palme d’Or nomination, the event’s highest award. More recently, the picture was named a nominee in the foreign language film category in the upcoming Academy Award and BAFTA Award contests. 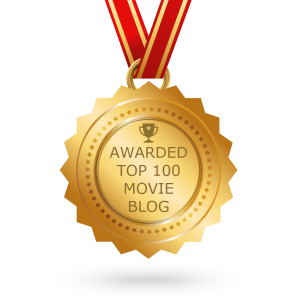 Comparable nods were also bestowed on the film in the Golden Globe and Critics Choice Award competitions, though it took home no statues in either contest. It’s tragic that anyone should have to experience the kinds of circumstances that kids like Zain endure. Thankfully, though, we should be grateful for the creative resources that are available to us all to overcome such situations. They’re there when we need them, and all we need do is avail ourselves of them. The outcomes that result from doing so may truly surprise us, enabling us to ultimately turn things around in the end.